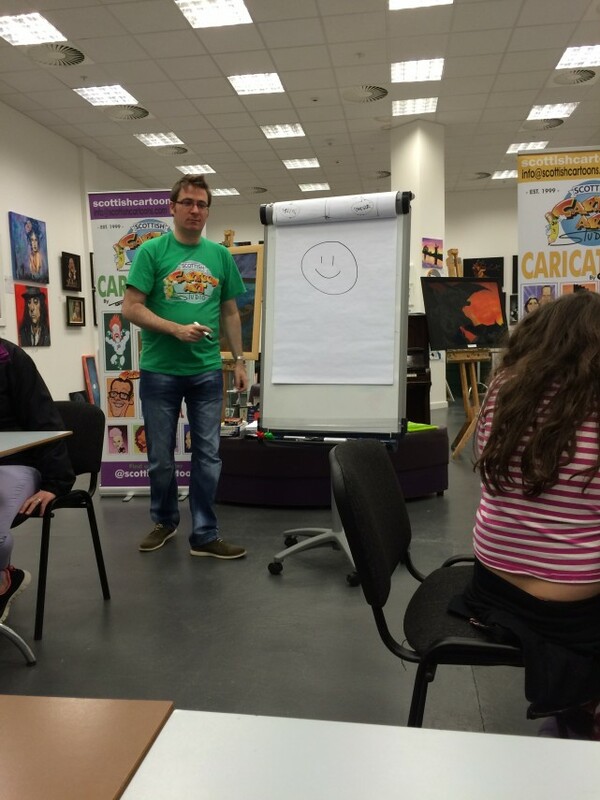 I wanted to do something a little bit different the last weekend of half term, so a few weekends a go we headed into Glasgow to the St Enoch’s shopping centre for a Comic Book Master class by the Scottish Cartoon Art Studio. For the whole of the school October week they had some great free events on for a Story Fest in association with Glasgow Libraries. What a great way to get kids into the fun and love in reading. I love activities that encourage reading and make it fun. Bringing stories to live make it more real and enjoyable. They had everyone from the Gruffalo to Dora to Badger the Mystical Mutt. I wish we could have went to more, but with work and other plans we only got to the Comic Book Master Class. The boys and I joined in the master class while Aria and daddy went for a play in the little soft play fun area the have. Perfect for giving little ones a break from the shopping. The organisers fro the Scottish Cartoon Art Studio were fantastic, they are very talented and we really enjoyed the class. 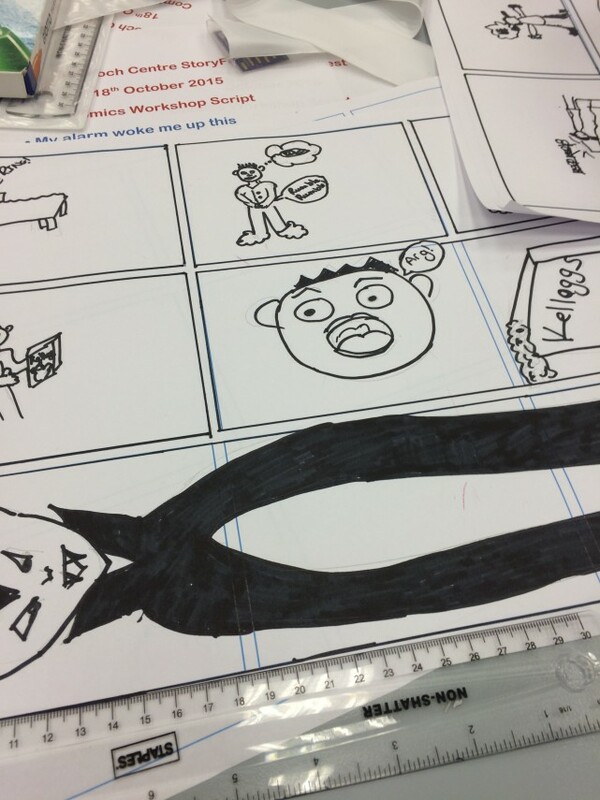 The broke it down into what is recognised images in cartoons, to how to create your own template, drawing a cartoon and even creating the finished product to send to the printers. 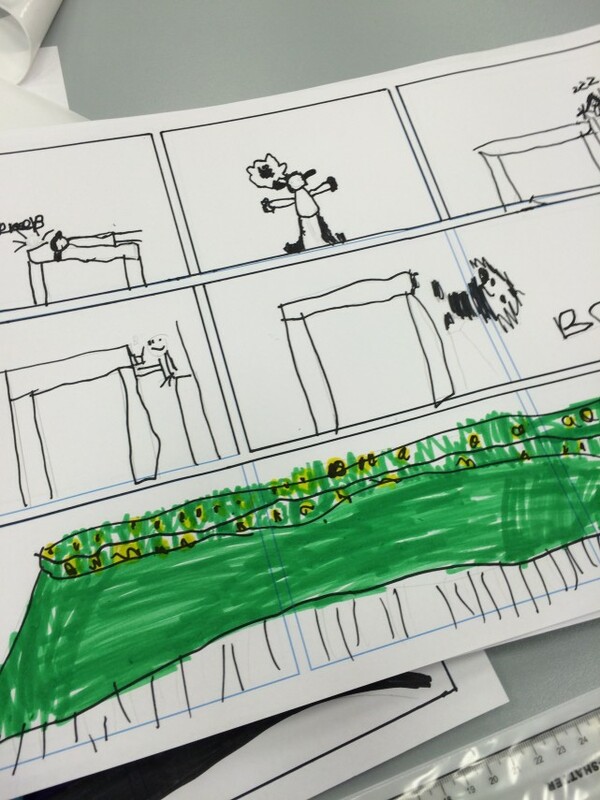 The boys aren’t quite into comic books or graphic novels, but were interested in creating their own. The event itself was hosted in The Unexpected Artist store which contains many wonderful pieces of art work that I couldn’t help but ogle at while I was in. I was an art student myself back in the day and miss the artistic side. We were given a brief like what they would be given when they go to do a real project, a sheet marked out with the cartoon squares, some pencils and a deadline. All three of us created our cartoon boards. Of course I joined in too. All very serious work being done. The guys helped with some pointers, what they would chose and encouraged us to create an original story. 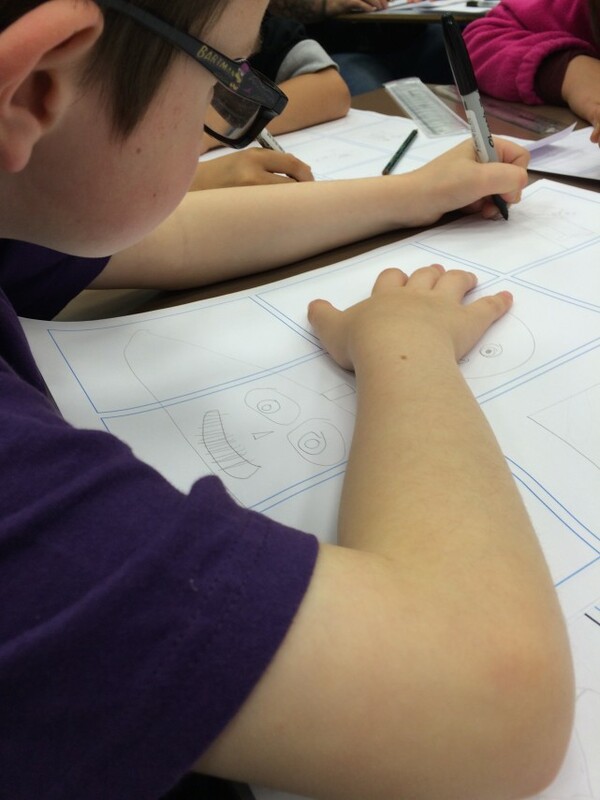 We learnt a lot about cartoon creation, from the different types of way to express sound for example. Lucas cartoon. 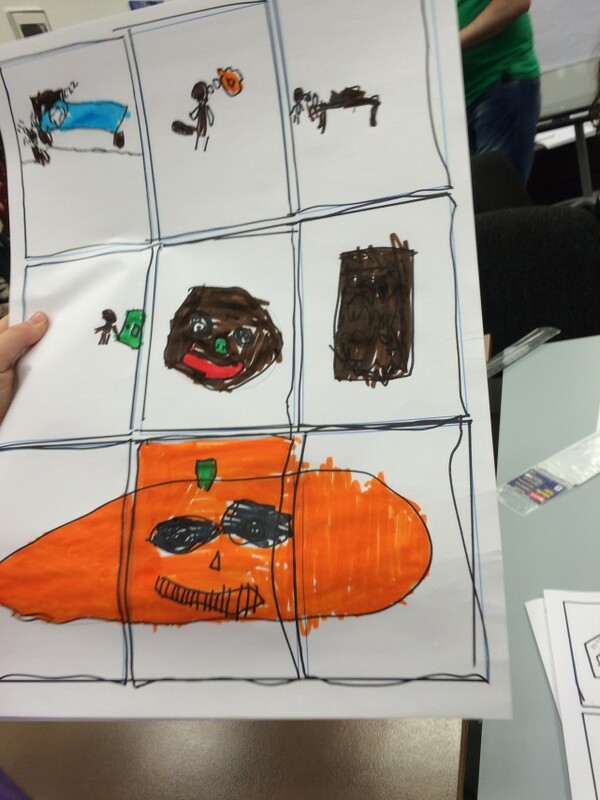 Halloween was obviously on his mind when it came to drawing his monster. I love Tyler’s monster with many legs. Both boys got into their cartoons and really enjoyed making it. And of course I went for a vampire. It was really interesting to see how everyone created a different cartoon and different images even though we were given the same brief. For an alarm one table did a digital clock, out table did the old school alarm with bells on it. Even though we’ve not had one of those for about 10 years or more and my children have never seen one in real life. They however, still symbolise that with an alarm. Not one of us used a mobile phone drawing, even though this is what the majority if not all of us use. Interesting. The guys at the Scottish Cartoon art studio are lovely and very talented. It was a thoroughly enjoyable experience and I enjoyed getting creative with drawing again. The boys are desperate to learn more and give it a go. They have created a few comic book pages since them. I am proud of them. 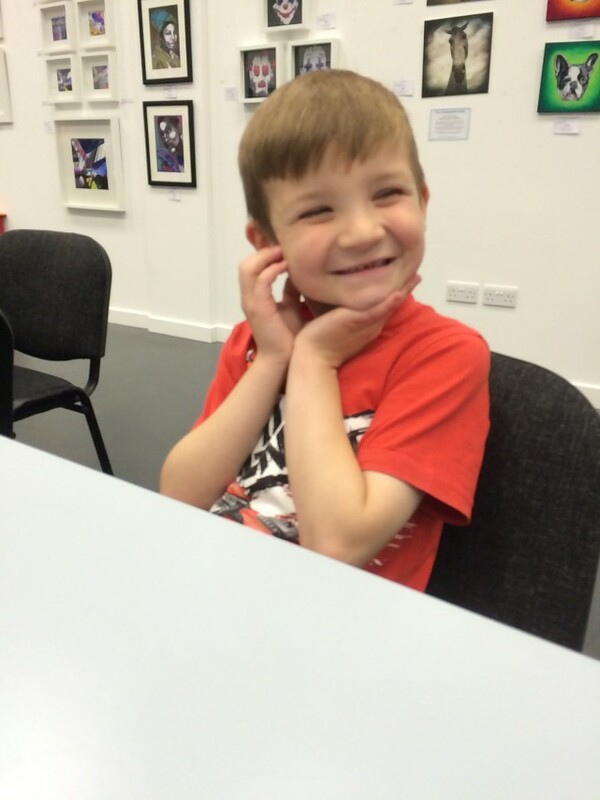 Events were you are active and participate with our children are a fun way for us to have fun, interact and do something creative. We had a really great time and I will be going to more of these types of events. I spoke to the Scottish Cartoon Art Studio about more in future. Being in the shopping centre we had to do some shopping while we were there. 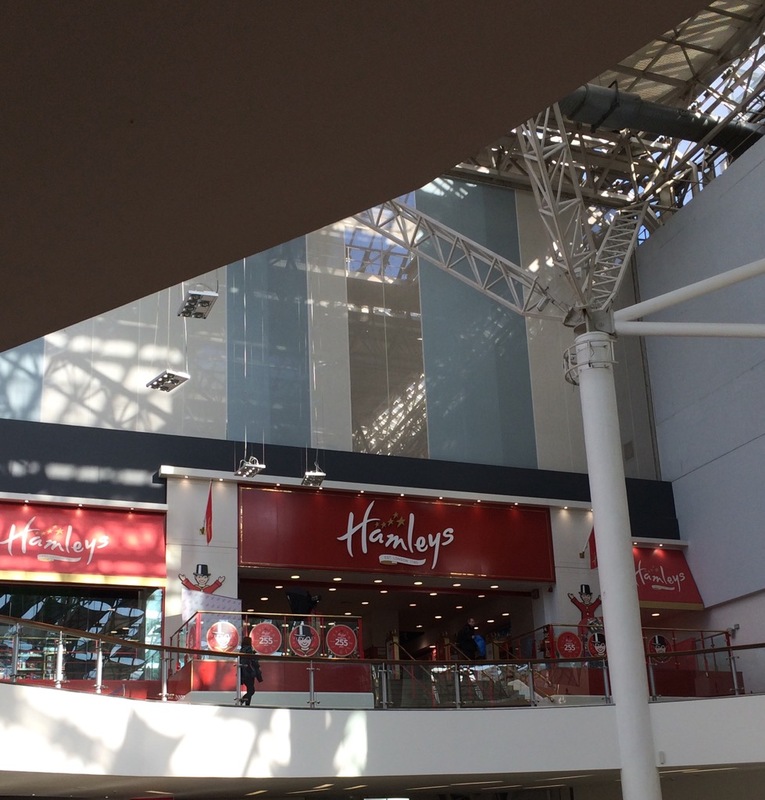 This shopping centre is our only one with the amazing Hamleys. A bit of Christmas browsing was done and I have a list from all the kids. The Disney Store is one of my all time favourite shops, it brings me so much joy being in this store. I love all things Disney and it was a lot of fun. 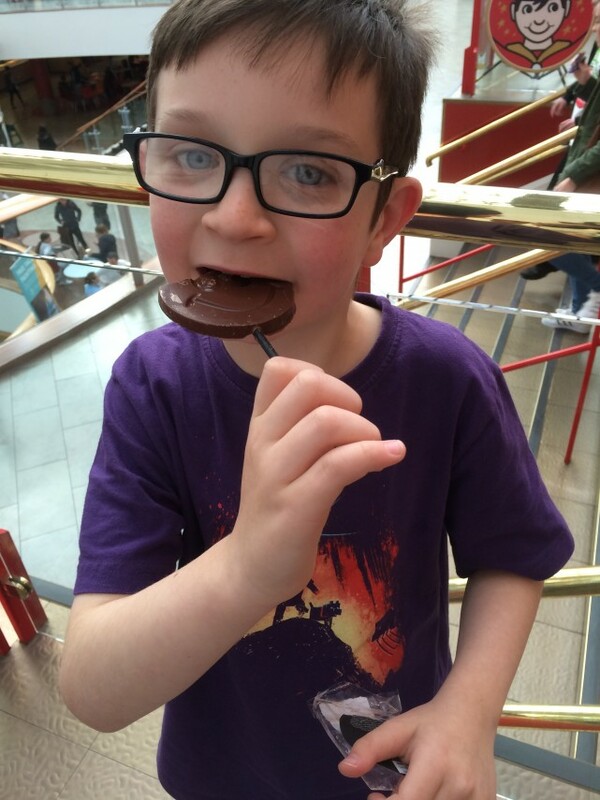 We enjoyed some chocolates from Hotel Chocolat and Lucas tucked into a yummy lolly. 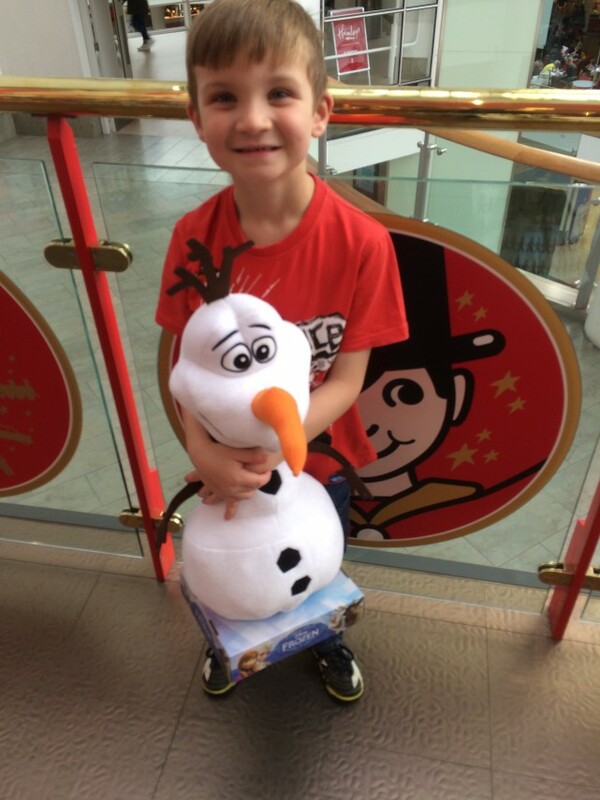 Tyler got a huge Olaf from Debenhams which he adores and goes everywhere with him. It was the perfect family fun day and we really did make a day of it. For lunch we had a nice rare treat at McDonald’s and the kids had a Happy Meal. 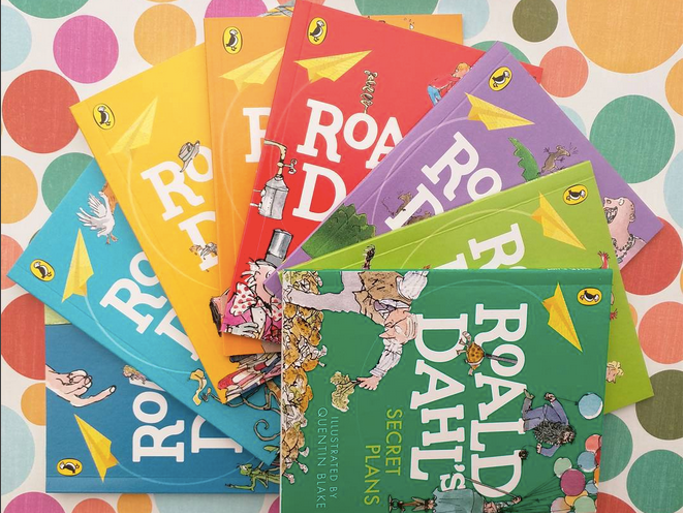 Just now the Happy Meal’s have some little Roald Dahl books, containing excerpts from the beloved books as part of the Happy Readers Initiative. I’d read about it recently how the National Literacy Trust, Penguin Random House Chilldren’s UK and the Roald Dahl Literary Estate got together to encourage families to read and get kids into the love of reading. This is perfect to me and my boys love to read, but there are still a lot of reluctant readers out there and giving away free books, little books broken down into chunks might just capture the imagination of someone who wouldn’t always pick up a book. And those who love to read, might find something they’ve not come across. Either way it was a win win for me. What do you think? We had a wonderful day together, getting creative, bringing words a live and doing a spot of shopping in some fun stores. It was a perfect way to end the half term. How was your half term? What do you think about events which encourage reading and bring stories and characters to life? 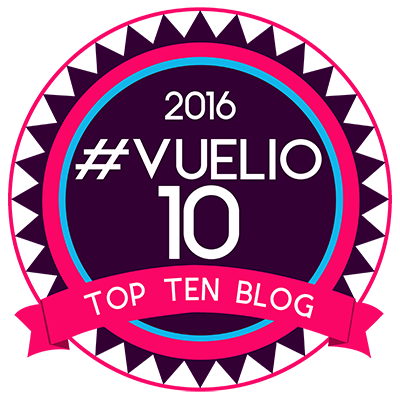 Anyone who reads my blog know how much I love to read and enjoy reading with my boys. 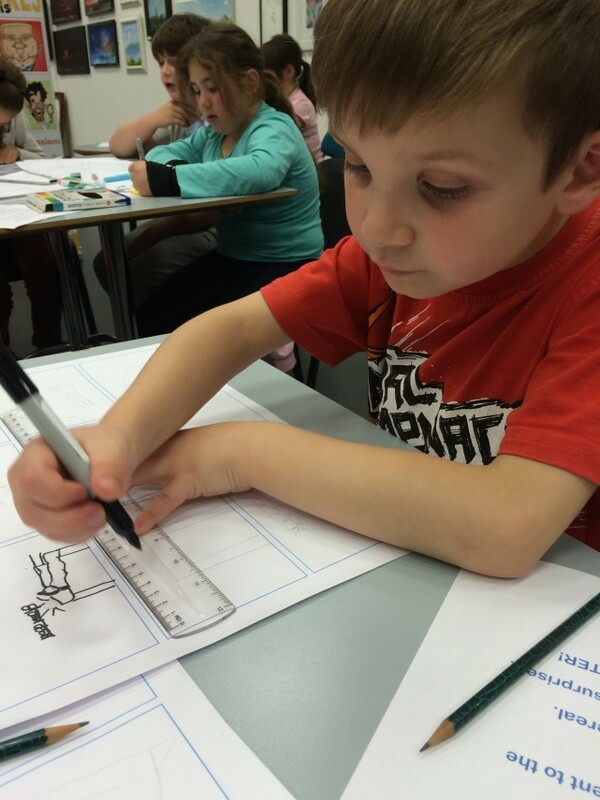 I loved watching the enthusiasm in their faces when creating these cartoons. Great day. St Enoch’s Centre will have a lot of other events coming up, especially some Christmas ones. Do keep an eye out on their Events page for information. Disclaimer:- I was given a complimentary goody bag, containing various items and an Optical Express voucher when we went to the comic book master class. All words and opinions are my own and we will be back. That does look really different and it’s just the sort of thing my H would love too. He really likes reading comics, so creating his own would be great fun. What a lovely idea that workshop sounds. I’m terrible at drawing, but the Bug is starting to show quite a talent for it, and he does love a graphic novel, so I’m sure it won’t be long before he ventures into drawing cartoons.